For his directorial debut, the distinguished actor Paul Dano has delivered class all the way. It's a sterling novel adaptation from Richard Ford coauthored with Zoe Kazan, with first-rate thespian skills, and locations and a period rendered so beautifully every other shot is as if it was taken by William Eggleston, vacationing in Montana. A little family seems forced into the role of losers by the dreamy Jerry Brinson (Jake Gyllenhaal), who has moved his wife Jeanette (Carey Mulligan), and son, Joe (Ed Oxenbould), now fourteen, more often than is comfortable. He gets fired from his job as a golf pro, really a glorified caddy, then when the club changes its mind, is too proud to go back. Fire is raging up over the hills somewhere, and after a time of desperation Jerry goes off with the fire-fighters for a dollar an hour till the fire is put out or snow comes. Joe and Jeannette are left to fend for themselves. The burden and focus are most on Joe, who watches his mother enter into a brief affair with a rich older man named Miller (Bill Camp), who was in the swimming class she's been teaching at the "Y." One of his businesses is a car dealership, and he sports a splendid new Cadillac in a pale color so subtle that, to paraphrase Fran Lebowitz, straight men would think it's white. Joe gets a job, like Larry Clark, as a photographer's apprentice, and soon is doing portraits with an ancient view camera, but is forced into the role of passive observer in more ways than one. When the girl who's interested in him at school passes him a note in class, "Let's hang out after school," he sends back the one word, "can't." Dinner at Mr. Miller's house with his mother forces him to watch her flirt, dance, drink, and finally kiss, and it goes further later. Joe didn't want his dad to go away for an unspecified time, but he's compelled to support even shaky decisions from above. Unprepossessing and small, like Dano, Oxenbould is a subtle actor who makes passivity interesting, always saying the right thing, never more than enough, often seething but controlled. Everything is subtle: Miller isn't rapacious or icky. He's philosophical and contained, plays classical music. As Jeannette, Mulligan is desperate but never melodramatically so. Her utterances just seem unexpected and embarrassing. When the snow comes and Jerry returns and finds out what's been going on, there's hell to pay, but that fire too is damped down before it becomes a dangerous conflagration. This would seem a stifled tale, were not the emotions so often on the edge of violence. The scenery and cinematography with their evocations of classic American art photography are a continual delight. Reviewers who allude to Dano's "static camera setups and uncluttered frames" (Grierson in Screen Daily) and his "eye for elegant spare compositions" (Gleiberman in Variety)) are only underlining the same visual delight I've referred to in mentioning William Eggleston, one of the great transformative photographers of ordinary America. A feeling for period isn't strong, since in this isolated Great Falls, Montana setting, despite the signals of Cadillac, clothes, and broken TV, the mood could almost be drifting back to the Forties or Fifties. Miligan's performance is splendid, even though she looks a bit the worse for wear. Jake shouts a little: his big argument with Carey is more theatrical than cinematic. The cinematic may be the element Dano needs to learn to play up more. But he has so much easefully under his control. Wildlife shows Paul Dano was meant to direct movies, and we can't wait to see his next one. It's a breeze, a movie that's memorable without ever grabbing our attention. 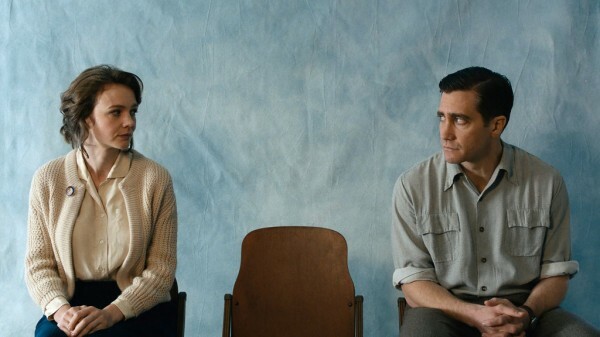 Wildlife, 105 mins., debuted at Sundance in Jan., then played in Critics Week at Cannes in May and in over two dozen festivals including Toronto, New York, and London. It opened in US theaters (limited) 19 Oct. after its NYFF play 30 Sept. It opens in France 19 Dec. under the title Une saison ardente. Metascore 80. Screened for this review at Shattuck Cinemas, Berkeley 22 Nov. 2018. 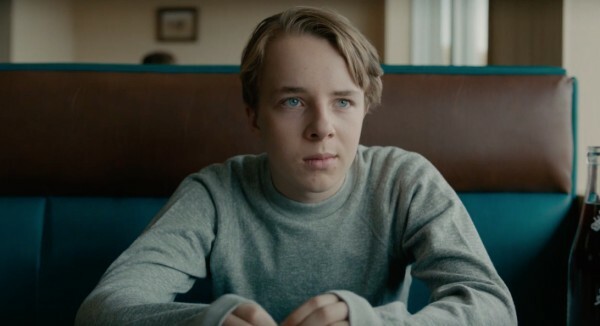 ED OXENBOULD IN WILDLIFE. NOTICE THE BLUES.